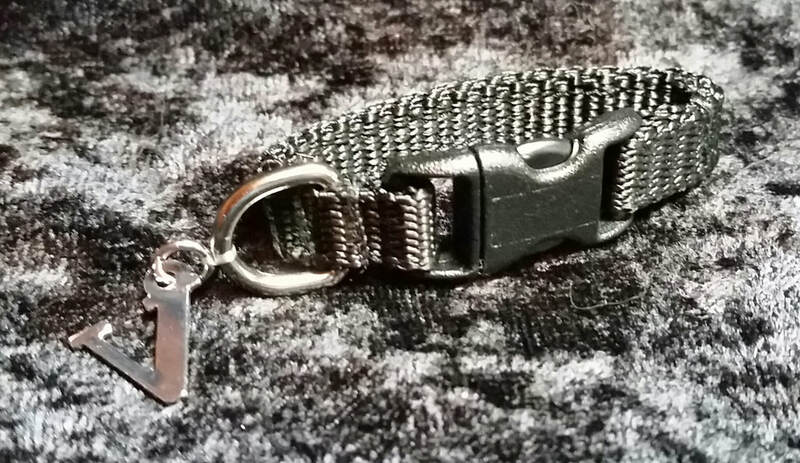 Tag Keepers offer an easy way to move tags from one collar to another. No more hassling with taking them off the ring each time. Put them on the tag keeper and forget about it. Just unsnap like a collar and move from collar to collar with one snap. Available in 1", 1.5", and 2". Tag Keeper open - it looks like a mini collar and technically it is.